In a brilliant and inspired collaboration, the National Ballet of Canada, Ex-Machina, and the National Film Board of Canada have put together Frame by Frame, a ballet based on the life and career of Norman McLaren. And who better to take on this project than famed playwright, actor, and filmmaker Robert Lepage? Together with choreographer Guillaume Côté, he has created a multi-disciplinary work that is sure to entertain and enrapture. The ballet runs from June 1–10, and whether you’re looking for a preview of what to expect, or a consolation prize for missing it, we’ve put together the films that inspired the work. Although not a ballet film, Neighbours is arguably McLaren’s most popular film, and redefined the way movement appears on screen in a significant way. It also figures prominently in Frame by Frame. Dancers Jack Bertinshaw, Dylan Tedaldi, and Skylar Campbell take on the roles of McLaren, Grant Munro, and Jean-Paul Ladouceur, respectively. This short film earned McLaren an Oscar® nomination and presents us with a cinematic study of ballet choreography. Margaret Mercier and Vincent Warren take the stage, dancing against a black set to create a dream-like effect. And don’t forget the animation effects. This is Norman McLaren, after all. Norman McLaren revisits the pas de deux in this short film, but this time it’s a slow-motion study. It’s the perfect exploration of one of the most exacting, precise dances of classical ballet. This time, we’re treated to the masterful dancing of David and Anna Marie Holmes. By this point, it should be obvious that Norman McLaren was a fan of the ballet, as every 10 years or so he released a ballet-oriented film. This time he sets his sights on the Greek tragedy of a beautiful youth who gets carried away by self-love. It’s a skillful blend of film, dance, and music that draws on all his previous experience. It requires a great deal of interest to portray such an awesome piece of art and by witnessing the above mentioned stuff it seems like one have done a nice piece of art. This week on NFB.ca we focused on the intersection between cinema and dance, using the former to explore the latter. Watch 5 films on the art of dance. 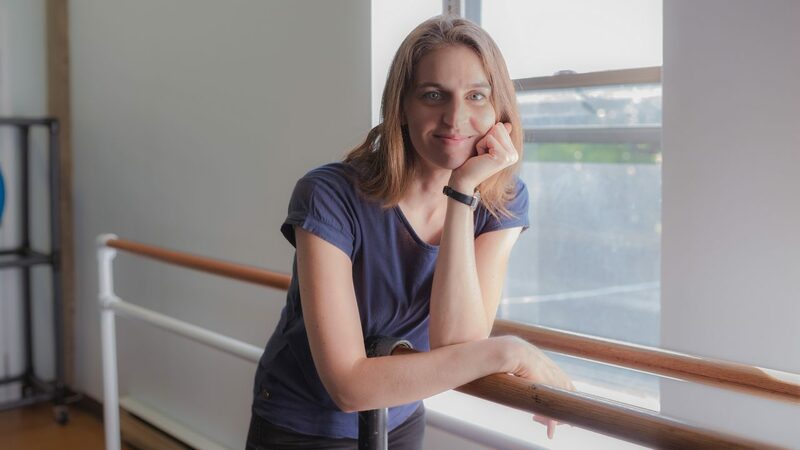 To make her feature documentary A Delicate Balance (released this fall), Christine Chevarie followed a group of children working tirelessly toward their dream of becoming professional dancers. It's award-season! In celebration of the exceptional work of Canadian filmmakers, there's no better time to watch some incredible award-winning films. Conflict resolution is hard. It’s human nature for us to think we’re in the right, and that our opponent is the one who’s got it wrong. Watch 3 films that deal with conflict resolution for children and adults.